As a species we like to have fun. It makes us feel good to manufacture a chemical reaction in our minds and body to create a high and distance ourselves from our own mortality. One such means of fun is gambling. It is fun right: placing bets on the outcome of a game be it chance or skill? I mean it must be fun because so many humans do it, right? Nothing bad comes of fun surely! Nothing bad comes of gambling? Wrong! Of course it does. Gambling is one of the stupidest things a human being can do. You are willingly handing your money to a bookie or competitor or casino in a game of chance in the hope of winning money. Your hard earned cash is at the mercy of: the turn of a card; the roll of a dice; the kick of a ball; the speed of a horse; and the spin of a wheel. To me THAT is crazy. I know because I used to gamble on the horses and loved it but not when I lost. That high soon dissipated and fun twisted and dug and before you know it you’re in a low-hole and light is getting further and further away the deeper you go. There are many players out there who will say poker is not a game of chance. It is a keen game of skill relying on intelligence, guts and psychological warfare. I would go along with that but it is, unless fixed, always reliant on major elements of fate. There are a plethora of multi-millionaires out there who have got rich playing poker no doubt. Yet, I bet there are some sob stories too of players who have lost everything at the table. 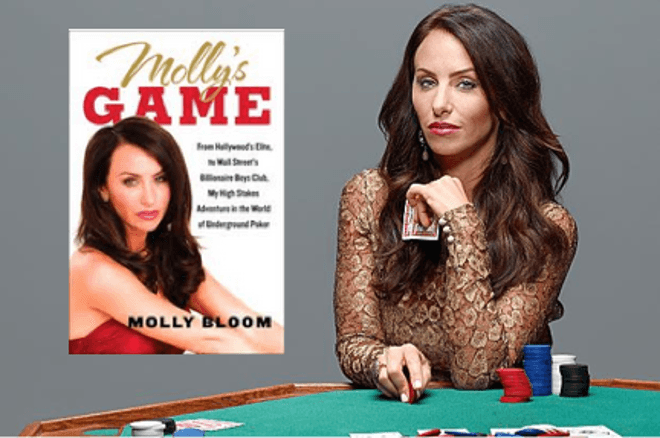 Such characters litter Aaron Sorkin’s excellent biopic of poker “madam” Molly Bloom. You’ve got the bankers, hedge-funders, cowboys, sporting legends, A-list actors and gangsters; all co-mingling around a green baize table facing off over the turn of a card. For me it’s an ostentatious representation of hedonistic narcissism. I mean: that money could be used for good but instead is being used for pointless card games which only serve to boost egos and satisfy bottomless, black-hole addictions. Nonetheless, that doesn’t mean the film is not entertaining because it is. Sorkin asks us to, at times, empathise for a criminal in Molly Bloom, however, she must be admired for her ballsy attitude, intelligence and organisational skills. 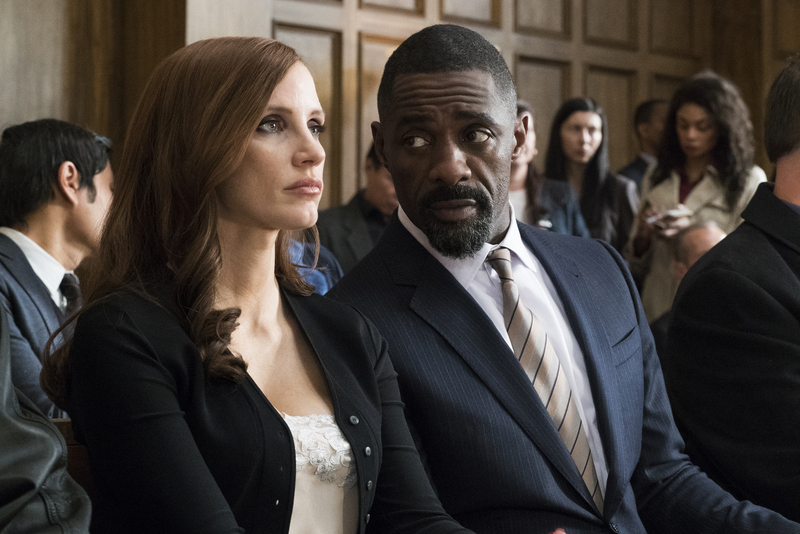 Much of the kudos for the film goes to Sorkin’s fantastic script and the sterling performance from Jessica Chastain; who possesses a magnetic on-screen aura reminiscent of the Hollywood stars of yesteryear. Couple of reservations in that with a story about a powerful woman it was disappointing that Costner’s father and Idris Elba’s lawyer got the best speeches at the end of the film. Moreover, at no point did I REALLY care about anyone, aside from Molly when she gets in too deep. But that’s the point: the professional poker world is a shark pool full of predators and Bloom’s story is a complex one, raised above that of your standard crime drama by a zinging screenplay and Jessica Chastain’s nuanced acting.